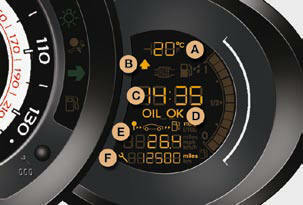 D. Engine oil level indicator. Appears a few seconds after switching on the ignition, then disappears. These two functions are displayed successively when switching on the ignition.